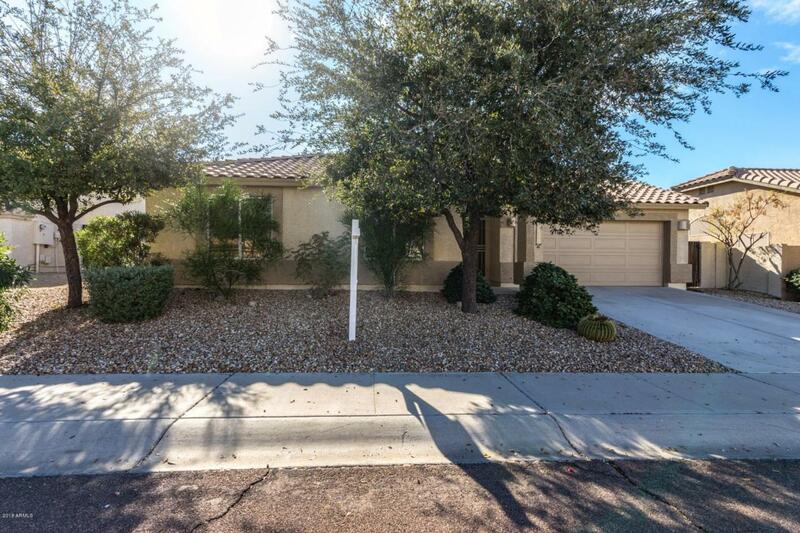 Fantastic single level home in ESTRELLA...WALK TO LAKES, PARKS, RAMADAS, and SPORT COURTS! 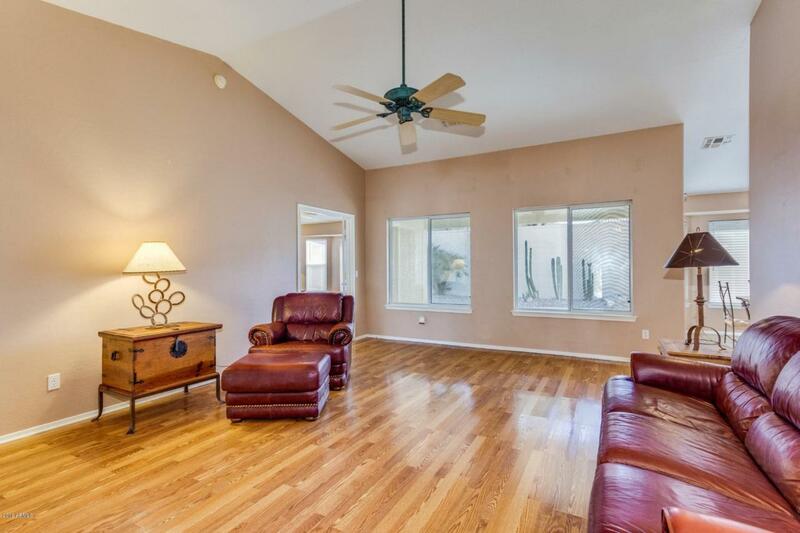 This house features vaulted ceilings, soothing palette, beautiful floors, ceiling fans, and window blinds. 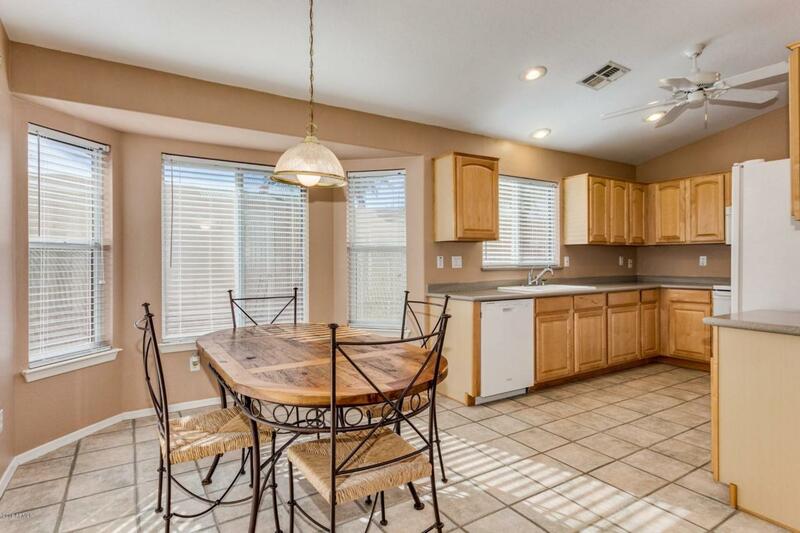 The spacious floor plan boasts neutral tile floors in all the right places, bay windows in dining area, Corian counters, and ample storage in kitchen. Perfect home to entertain inside and out. Laundry room with storage shelves. 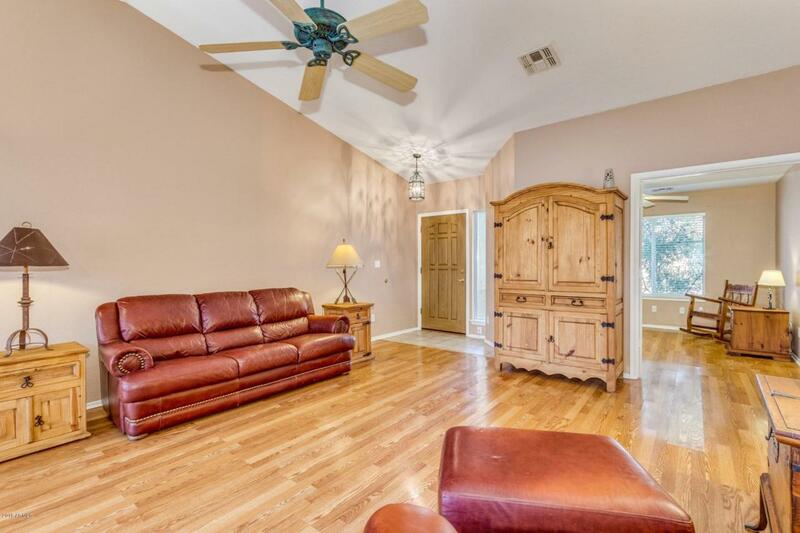 Master retreat features bay windows, patio access, walk-in closet, and private en suite. Enjoy the backyard sparkling pool, swaying palm trees, and large patio. Life in Estrella...golf, community pools, gyms, club houses, restaurants, yacht club, hiking, concerts, and so much more!